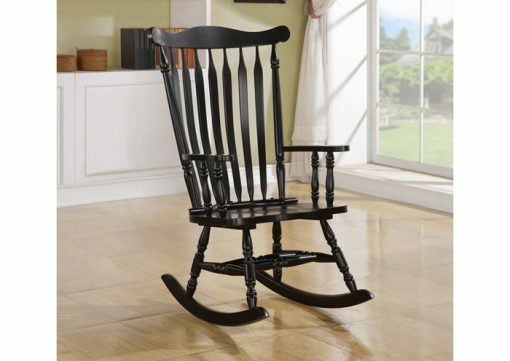 Whether you are a new mom looking to soothe a baby or you’re just looking for a place to sit and relax, this traditional styled wooden rocking chair will be a lovely addition to your home. 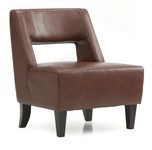 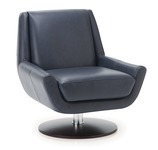 This high back rocker has a curved shaped top and is finished in a rich black oak. 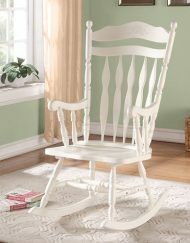 Soft curved arms frame the seat, with turned spindle supports. 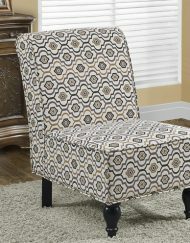 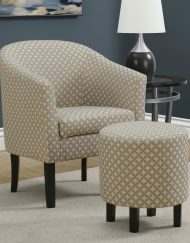 Turned legs above the wood rocker base complete this charming look and add the perfect touch of warm tradition.